BRYAN EATON/Staff photo. 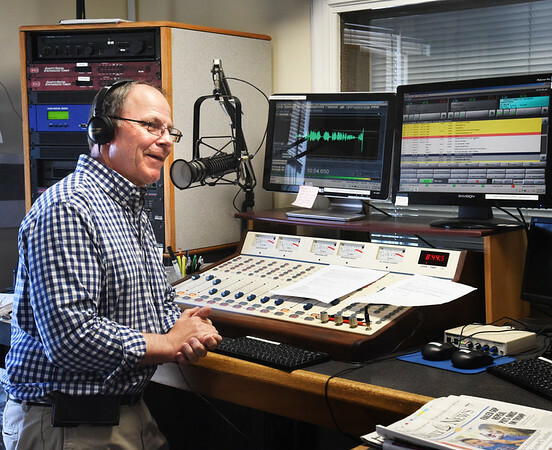 Longtime WNBP radio announcer and newsman Win Damon interviews Salisbury town manager Neil Harrington during his last broadcast on Monday morning. The station has been sold and Damon is not being retained by the unknown new owners and it is unclear the status of other personnell.